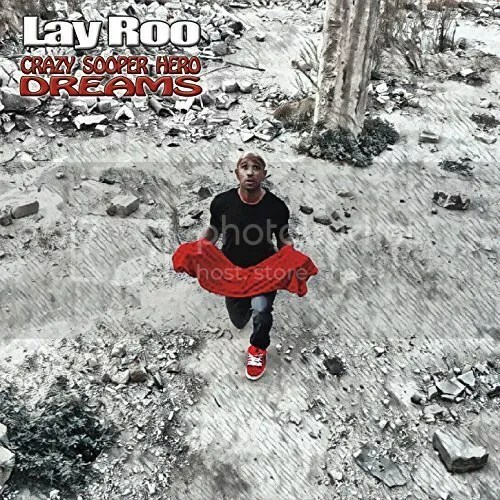 The hip hop artist known as Lay Roo has released his latest EP, “Crazy Sooper Hero Dreams.” The EP contains five original Lay Roo tracks for an approximate listening time of 20 minutes. It has been proudly published on the Lay Roo Entertainment independent record label without the direction of the corporate music industry. Blending old-school groove with the infectiousness of pop and an uncommon warmth of character, “Crazy Sooper Hero Dreams” puts Lay Roo on the hip-hop map of 2017. Lay Roo cites as main artistic influences Tupac Shakur, Kanye West, Prince, Pharrell, Michael Jackson, and Dr. Dre, as well as a variety of others as different as Nirvana, the Roots, and Beethoven. Lay Roo sees the superhero in everyone. This is the message of his “Crazy Sooper Hero Dreams” EP, one which comes out loud and clear in his lyrics. 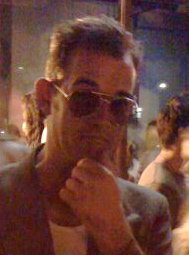 Lay Roo has performed with and worked alongside artists such as DJ Ready D, Isaac Mutant, the Beat Bangers, DJ Juice, G Baby Da Silva, Bobbi Black, DJ Easy, Keeno Lee,and Ebrahim Mallum. A multi-talented entertainer, Lay Roo also spends time modeling for Martez Model Management. He has been seen in Mens’ Fitness Magazine in the United States, as well as on the “Good Morning, America” program for ABC News. “Crazy Sooper Hero Dreams” by Lay Roo is available online worldwide at over 700 quality music stores beginning 2 June 2017. Get in early, hip hop fans.